What's New in Interior Design? I've worked with countless clients, and many come in with certain expectations or ideas that actually hinder them when they're shopping for furniture in High Point and elsewhere. 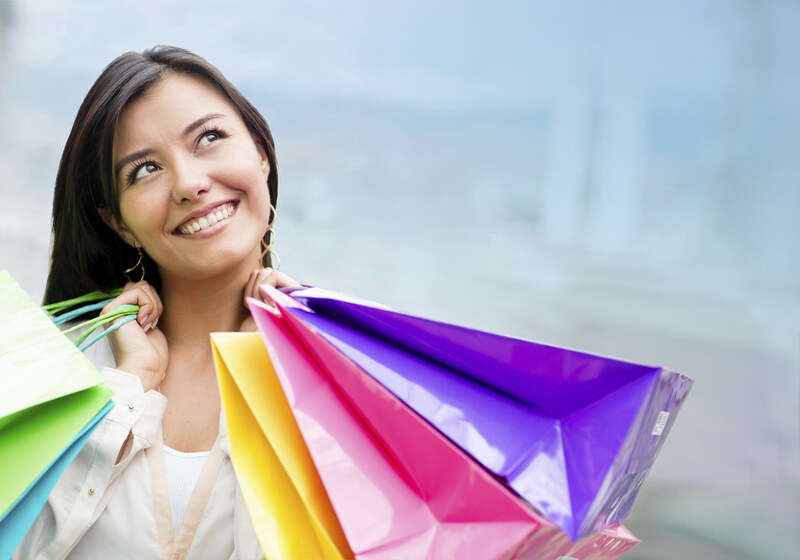 What can you do to prepare yourself for a shopping experience that is fruitful, worthwhile, and even fun? Avoid these five ways of thinking! Few of us have unlimited budgets, but that doesn't mean that price is the one and only element you should focus on when choosing your furniture. While it's definitely a factor (and often an important one! ), it shouldn't necessarily top your list of priorities. You'll also want to consider style; you don't want to save a few hundred dollars but be stuck with a sofa that makes you cringe whenever you see it. And think about quality. If you're choosing between an inexpensive, poorly made dining table set that you have to replace in five years and a well-made set that costs twice the price but will last you fifteen years, the well-made set is the better deal in the long run. While better raw materials and craftsmanship tend to cost more, don't take it for granted that there is a direct correlation between a high price tag and high quality. Dozens of factors go into furniture pricing, and you may be paying extra for certain design details you don't care about, or just for the brand name. There are some incredible up-and-coming furniture companies out there that offer high-quality items for lower prices. Some major companies have moved their manufacturing abroad in recent years, so what was once a great product may have deteriorated. More information is always better. If you have a floor plan or swatches of the fabrics in the room where your new item will be located, bring them along. If you don't, measure your spaces carefully and take note of the width, depth, and height measurements that can work for you. There's usually a range of dimensions that you can accommodate. Whatever you do, don't assume that when you get to the store you'll be able to "eyeball" it. Furniture size is difficult to judge in a showroom, and something that looks small on the floor of a warehouse may take up half of your living room. You don't want to have an item shipped and delivered only to find out that it won't fit! If everyone in the room absolutely adores an item of furniture but it puts you off for some reason, don't buy it! It's easy to be swayed by others, particularly when they have design expertise, but they won't be living with the furniture for the next several years. Your idea of beautiful may be completely different from someone else's. Don't be afraid to state your opinion, even if it's vague. You may not even know why you don't like something, but if it's not for you, say so. A good shopping advisor or salesperson will respect that. While you shouldn't purchase anything you dislike, you also don't want to be too narrow-minded. I've had clients who come in with a very specific idea of their prospective room design, only to find that they fall in love with a completely different look. There's nothing wrong with having a general idea of what you want, but if you're so intent on finding, for example, a tufted wingback chair with chartreuse upholstery and bun feet, you may miss out on other chair designs you'd like even more. When you shop with me, you can be confident that you won't make these mistakes. We'll discuss your vision for your home or room, your budget, and your taste and style preferences. I will work with you to find the items that perfectly fit your needs, so you don't waste hours in stores that won't have what you're looking for. After so many years in the industry, I know which brands are the best and who you may want to stay away from. And all of this information is available at no cost to you. Contact me today to talk about your needs! What's the best size rug for your room? How can you choose the right size? Find out here! I've been swooning over the Gabby High Point Showroom at the International Home Furnishings Center, and I'm so excited to bring you some of my favorite designs from this company. Whether you're decorating a coastal cottage or styling a modern bachelor pad in New York City, you'll find something you love at Gabby. They use interesting and unique materials to create timeless transitional furniture that works well with any design decor. These eight materials and finishes set their collections apart. Shagreen has been popular with ancient pharaohs, Japanese samurai, and art deco designers, and this pebbled texture is a sumptuous accent for luxurious furniture pieces. Real shagreen is made from the hides of sharks and stingrays, but today's manufacturers opt for the eco-friendly and nearly indistinguishable faux shagreen, typically made of vinyl or resin. Hone (faux or otherwise) is a minimalistic accent that can add dimension and texture to your room. This finish takes an average everyday item like a tray or mirror to the next level - a conversation piece. I'm particularly fond of the pearlescent shades of white, although darker browns and tans can add a masculine element to a room. Bone inlays are classy and elegant, and a faux bone lacquered finish goes well with any shade of metal. Don't relegate bone or horn decorations to rustic cabins or man caves! These gorgeous products from Gabby prove that bone can add a natural and even feminine element to your home. Just look at those curves! Vellum, originally made from calfskin, is a smooth and exotic leather that will update the look of classic furniture designs. This sensuous material exudes glamour and softness. You (and your houseguests) will be tempted to reach out and stroke the durable, creamy velvet of these vellum-accented pieces whenever you walk by. Plus, vellum varies widely in color and tone, providing you with a bespoke item you will cherish. Woven seagrass has a reputation as a coastal material, but it can add texture to rooms inland, too! This material is particularly popular in rugs, because seagrass is tough and stain-resistant. The natural fibers have their own calming neutral shades. This durable, water-resistant material has a light sheen, and can sometimes appear greenish before fading to khaki or camel. If you want texture, you want seagrass. Unlike many of the other textures and finishes on this list, Lucite isn't organic - it's actually a versatile acrylic resin. It can be dyed almost any color, and ranges from transparent to completely opaque. Transparent Lucite makes a wonderful accent because it adds visual interest without competing with your current color scheme. As designer Jonathan Adler says in an L.A. Times Interview, "I think it hits all the right notes. It's glossy, it's a little vintage, it's a little futuristic." Hide is another underrated material. Used sparingly, it can add softness and warmth to your room. It comes in many colors, and no two hides are alike; each has its own display of hues and colors chosen by nature itself. Gabby typically uses this finish to edge a mirror or for a plush seat cushion. Hide doesn't have to be the star of the show to make an impact. Verre eglomise is a decorative technique that produces remarkably stunning mirrors. It refers to glass that has been gilded with gold or metal leaf on the back. You wouldn't necessarily look at your reflection in an eglomise mirror, but the metallic element sparkles when paired with almost any material. I love it on tabletops, trays, and as an ornament for your wall. Want even more inspiration? Browse the Gabby website for hundreds of products that combine these materials with more traditional finishes to create incredible transitional furniture. If you're going to be near High Point, North Carolina, give me a call at (336) 404-1040 and I'll show you the latest furniture featuring these stylishly unique materials. What Size Sofa Do I Need? Create your home's "Year of Style"
Shopping with a spouse? Pull up a loveseat.